Use the streaming service that you like best. You only need your smartphone to change the player’s settings. Otherwise, it’s a competent player all on its own. Unless you want to control it with your smartphone, which is also possible. A music player that will stay with your kids for their entire childhood and youth. Adaptable to their needs. Switchable player skins. The size and weight of the player have been carefully chosen so that even the littlest ones can take it with them wherever they romp. laleby is safe. Children can only access what you’ve allowed them to. And it’s perfectly suited for small children. Because we believe that a children’s product should also help ensure a bright future, we’ve designed the laleby player to be as long-lived, fair, and environmentally friendly as possible. We want to put children’s music and audio books from streaming services into children’s hands in the best way possible: with a child-friendly, safe, and adaptable player that doesn’t make parents’ lives more complicated. That’s why we’ve developed a system with an independent player, an app to change its settings, and a secure cloud to connect the two. When and where can I buy the laleby-player? What is the player going to look like? What news is there from the startup? 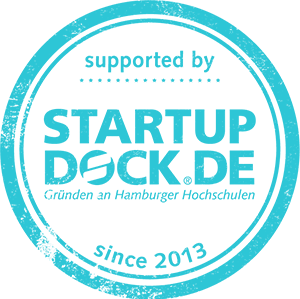 Current information about our product and startup can be found on our social media channels and in our newsletter.  Laleby is the first music player for children large and small that can access the major music streaming services and doesn’t rely on a smartphone. 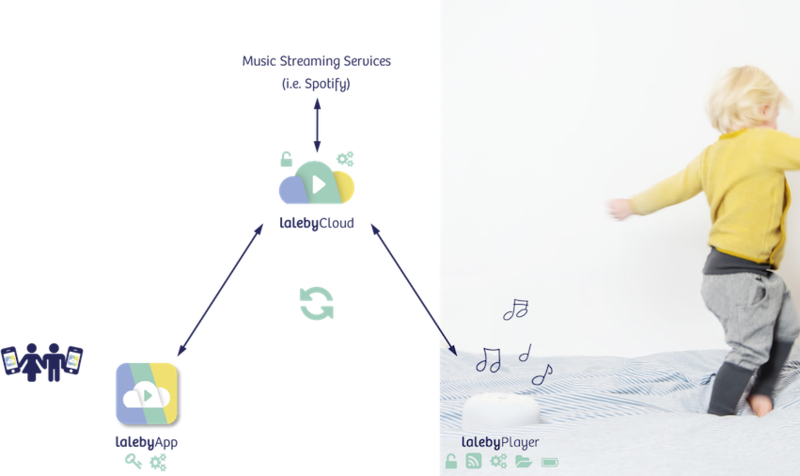 The laleby app and the possibility to change player's skins allows the player to adapt to children’s needs and wishes as they grow, making it a perfect companion for many years of music and fun!